The Story of a Soul was published at the end of September 1898. Leonie immediately devoured the book and was moved to rediscover memories of their shared childhood; but most importantly of all, she finally knew all the secrets of the love which Therese and her beloved Lord had shared. The Story of a Soul became Leonie’s bedside book; and it helped her to regain hope for her own vocation. Leonie’s heart was constantly drawn toward her beloved Visitation Order; but she hesitated, because of her fragile health and her innate restlessness – a restlessness which sometimes made others see her as indecisive, whereas in fact she was strong-willed to the point of stubbornness. 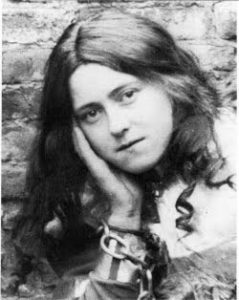 One day, Leonie would learn – and would bear witness to it at the Process for Therese’s Beatification, in 1910 – that in early 1888, after Leonie’s first attempt to join the Visitation Order, Therese had said prophetically to a Benedictine sister in Lisieux: ‘We must not worry about the fact that Leonie’s attempts at religious life have been unsuccessful. After my death, she will enter the Visitation Order; she will take my name, and that of Saint Francis de Sales.’ In 1888 Therese was fifteen and about to enter the Carmelite convent, and no one dreamed that she would die young; she was in good health, and photographs of her as a novice show us a cheerful, round-faced little country girl.